Mobile gaming has grown massively over the past few years. 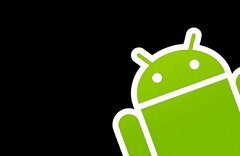 And with Android overtaking Apple iPhone and iPad for the market share of smartphones and tablets, it's no surprise that gambling on slots is easier than ever for Android owners. Android phone and tablet users have a bewildering choice of dedicated apps for their devices, all adapted specially to cope with the small touch-screen. And with Android coping with Adobe Flash (unlike Apple) more online slots are accessible for real money. Generally, the most popular games at an online casino will be available for an Android client. You can download an app from Google Play or simply visit the casino homepage via your phone's browser. Logging in is done with the same username and password as your desktop account. Some casinos, meanwhile, cater exclusively for mobile phone players. When you load an Android slot you'll notice the reels and buttons have been adapted to fit your touch-screen. Obviously, on a small Samsung S3 Mini the 5" screen won't fit too much in the way of information. To cope with the screen size the game screen may be missing the Autoplay, Gamble and Spin buttons. Instead, spinning the reels is done by swiping the screen downwards. Some developers have the Spin button off-screen. The paytable and coin bet buttons will either be accessed via a drop-down menu or a screen off to the side. Casino deposits and withdrawals are done in the same way as a PC or Mac casino. Just bring up the Cashier tab on your smartphone and enter your card details as usual. Android casinos work either as dedicated native apps for mobiles, or as no-download games. Most casinos will list the Samsung, Nexus and Neo devices that work with their native apps. They can be fairly hefty downloads, though, as you are downloading a full suite of games straight away. Android apps are usually programmed in Java, which works on those devices. The games are programmed with the language of Android in mind. The functions and experience will be more solid too. Downloaded apps will also work when you aren't on the Internet. No-download slots play via a web browser individually and are usually programmed in HTML5. HTML5 games "feel" like download apps but really behave like a separate website. For security purposes, the app can only do so much, so if you are on a no-download casino site you may find some of the functionality disappears. As with anything on a smartphone, a good web connection is needed to ensure your games don't freeze mid-spin. Most mobile casinos for Android phones require anything above 4.4. However, in our experience - if you can - it's worth getting Android 6.0 Marshmallow. The latest version is a simple re-haul of Android Lollipop and has a more user-friendly app list. Most mobile slots work in HTML5 or Flash. Therefore, it's worth making sure your Adobe Flash is up to date. Also, make sure that your device works at all. If you have a healthy data package with your mobile plan, make sure it can handle all those browser load-ups. Casinos estimate that games spend 100kb each time they load up. That can soon add up if you only have 100MB of data every month. Not having the latest version of Android is a constant problem for slots players on their mobile phones. Cheaper tablets like Tesco's Hudl come with a slightly older OS and may need updating fairly quickly after buying. Alternatively, older smartphones just can't handle the constant Android updates that are released. If you can, make sure your phone is able to have the latest Android installed. At time of writing the latest Android version was Lollipop 6.0. Installing this should ensure games load in your browser without issues. Most mobile casinos will tell you what version of Android you need to run games smoothly. One big disadvantage with a mobile Android client is you may not find the same number of games as a full desktop client. You may wonder where half the slots have disappeared to. Developers are constantly adapting existing titles for Android clients. However, if you're into the newest slots you'll generally find an Android version that is released at the same time as the desktop one. Losing web connection or battery life can be the bane of any online gambler. If you're halfway through a Free Spins round, that can mean lost spins - and lost money. Luckily, most mobile casinos will freeze the game where you left off. Simply log back in and the slot will pick up where you left off. One final word on mobile security. Players are understandably worried about the security of gambling on their smartphones. Most top mobile slots sites use SSL (Secure Sockets Layer) encryption to protect players' details. Look for something like 2048-bit security from a firm like DigiCert. It's among the strongest security around for online sites and means your username and cash are totally safe. Most Android users are safe when gambling. However, the sheer range of devices using Android means you might not know where you stand with your smartphone. The new Samsung Galaxy S6 Edge, for example - considered the best Android device around - had a scare in 2015 with 11 flaws unveiled. Issues, included loopholes for hackers to exploit, but both Google and Samsung promised the flaws would be ironed out.